On January 24th in 1935, Americans cracked open their first can of beer. The first brewer being Gottfried Krueger delivering 2,000 cans of their beer to thirsty consumers in Richmond, VA. Partnering with American Can Company, this was the start of a revolution in the brewing industry.Ninety-one percent of the drinkers approved of this idea and Krueger began furthering production. At first the concept was a tough sell, but within three months eighty percent of distributors were handling Kruegers canned brew. With this eating into the market share, their competitors began to follow suit. At the time the “big-three” were Anheuser-Busch, Pabst and Schlitz and by the end of 1935 over 200 million cans were being produced and sold. Back then, consumers weren’t required to pay a deposit on cans unlike bottles. Not to mention cans are easier to stack and chill which made for more efficient storage. 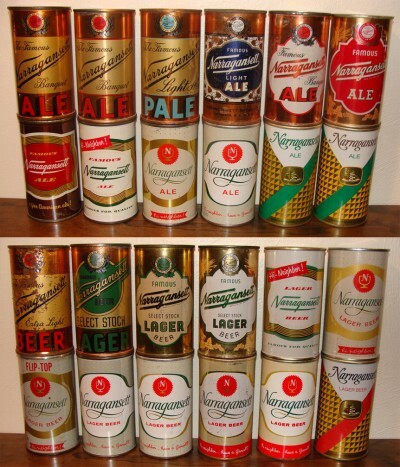 The popularity of canned beer increased steadily throughout the 1930?s. It wasn’t until World War II that they exploded when U.S. brewers shipped millions of cans to troops overseas. When these troops returned home, sales naturally continued to rise and the national breweries began to take advantage of the mass distribution benefits cans had. According to History.com, canned beer now accounts for approximately half of the $20 billion U.S. beer industry. This is quite evident with the Narragansett tall boys being very popular. There’s recently been renewed interest in canned beer from some of the smaller craft brewers. This is backed by the fact that cans guarantee purity and taste since they prevent light damage and oxidation. The two biggest enemies to beer. 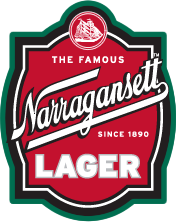 More importantly celebrate the 79th anniversary of canned beer today, January 24th with a tall boy of either Narragansett Bohemian Pils, Lager, Light, or Bock beer and Have A ‘Gansett, Neighbor! Check out some vintage Narragansett cans on our Tumblr page and here’s some footage of the canning line below making TallBoys.